Barcode decoder chip for Code39 and Interleaved 2 of 5 barcodes. 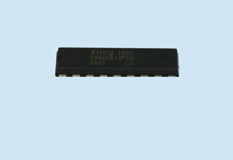 The DC1 is a decoder chip for reading code39 and I2/5 barcodes. The DC1 chip has minimum order size requirements.